Final results show that 99.2 percent of city voters in this year's mayoral election cast valid RCV ballots. In the weeks before the November 4 election, numerous news stories in the mainstream press focused on whether ranked choice voting (RCV) was too complicated for Oakland voters to understand. At one point, Governor Jerry Brown, an Oakland resident and a longtime opponent of RCV, called the voting system "complexifying." But results of the Oakland mayoral election strongly indicate that city voters had no trouble understanding RCV. In fact, a whopping 99.2 percent of residents who cast votes in the mayor's race filled out their ballots correctly, according to final (although still unofficial) results from the Alameda County Registrar of Voters. The results also show that a supermajority of Oakland voters clearly understood the dynamics of this year's mayoral contest. Throughout the fall, it was clear that the top three candidates in the race were Mayor Jean Quan and Councilmembers Rebecca Kaplan and Libby Schaaf — and that one of those three was likely going to win. And sure enough, 86.1 percent of those who cast ballots in the race listed Quan, Kaplan, or Schaaf as one of their top three choices — and many listed more than one of those three candidates. In all, there were 102,682 ballots cast in this year's mayor's race, according to county Registrar Tim Dupuis. Of the 104,834 Oaklanders who participated in the election, 2,152 (2.05 percent) decided to not vote in the mayoral contest — perhaps because they didn't like any of the fifteen candidates. The ballots cast by these voters became known as "undervotes," Dupuis said. In addition, 794 voters cast invalid ballots in the race — that is, they listed more than one candidate as their first, second, or third choice, and thus likely didn't understand RCV. These 794 votes were known as "overvotes," Dupuis said. However, undervotes and overvotes are not necessarily related to RCV. In fact, undervotes and overvotes are not uncommon in traditional, non-RCV elections. For example, in the 2006 Oakland mayoral election (the last one that was non-RCV), there were 2,488 undervotes and overvotes, representing 2.9 percent of the ballots cast. One of the major advantages of RCV is that it results in more voters participating in elections than the traditional primary-general-election format. The reason is that more voters tend to turn out for November elections than they do for June primaries (RCV eliminates the need for a June primary). In 2006, for example, the mayor's race was decided in the June primary because Ron Dellums won more than 50 percent of the vote in that contest. However, only 83,891 Oaklanders cast valid ballots that June. That was 17,997 fewer votes — 21.5 percent — cast than in this year's November election. Rob Richie, executive director of FairVote, argued in an interview that RCV is worth supporting for "that reason alone. It provides for more opportunity for people to engage" in an election. Countywide, overall turnout was about 45 percent this year, and was down in Oakland compared to 2010. In that year's mayoral contest, which employed RCV, 119,962 ballots were cast. Turnout was higher throughout the state that year because Proposition 19 — the marijuana legalization measure — was on the ballot. RCV is also cheaper for Oakland taxpayers. Holding a June primary costs the city about $1 million. And RCV elections typically produce fewer negative political ads, because candidates are wary of attacking each other for fear that they may anger their opponents' supporters, who then will not list them second or third on the their ballots. 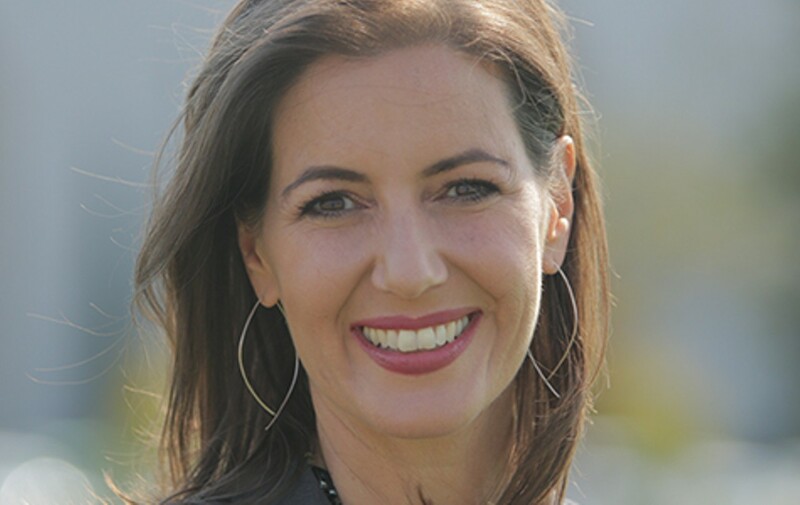 Indeed, this year's mayor's race in Oakland included very few negative political ads. By contrast, voters in Richmond, which doesn't use RCV, were swamped with negative ads — financed primarily by Chevron — prior to the November election (see "Chevron's Misguided Campaign" on page eleven). One of the interesting outcomes of this year's election in Oakland, however, was that many Quan supporters didn't like Schaaf — or Kaplan. The results revealed that when Quan was eliminated in the penultimate round of RCV tabulations, half of the ballots (50.5 percent) that listed the mayor on them were tossed out because those ballots didn't also list either Schaaf or Kaplan. Pamela Drake, a longtime Quan supporter, said she believes that many of the mayor's backers left Schaaf and Kaplan off their ballots because they didn't trust them. She said Kaplan had promised in 2012 to not run against Quan this year, and Drake said she and others didn't trust that Schaaf was "a true progressive," and suspected that she had moved left this year just to win the mayor' race. Plus, Drake said, a lot of Quan supporters "really only wanted Jean to be mayor." So why all the stories prior to the election about voters possibly not understanding RCV? Unfortunately, there are a lot of politicians, political operatives, and pundits who don't like RCV for various reasons. But they can't win an argument about the traditional primary-general-election format being better, because RCV elections are cheaper, more inclusive, and less negative. So they complain that it's "too complicated." But it's not. And it's time for those patronizing, voters-don't-understand stories to end.